Dried Dark Red Kidney Beans - 20 lb. Both hearty and nutritional, this bulk supply of dried dark red kidney beans will allow you to create satisfying, signature meals that your customers are sure to love! Not only are these legumes perfect for enhancing buffets and restaurant menus, they're easy to prepare and add to any dish. With a savory flavor, they can be used as a protein substitute for meat in soups, chili, and burritos to accommodate vegetarian guests. After rinsing and boiling them, simply toss them on top of leafy lettuce with a drizzle of dressing for a refreshing salad, roast them for a crispy side dish, or stir them into a sauce and layer it on a portion of noodles for a meatless alternative to traditional pasta. 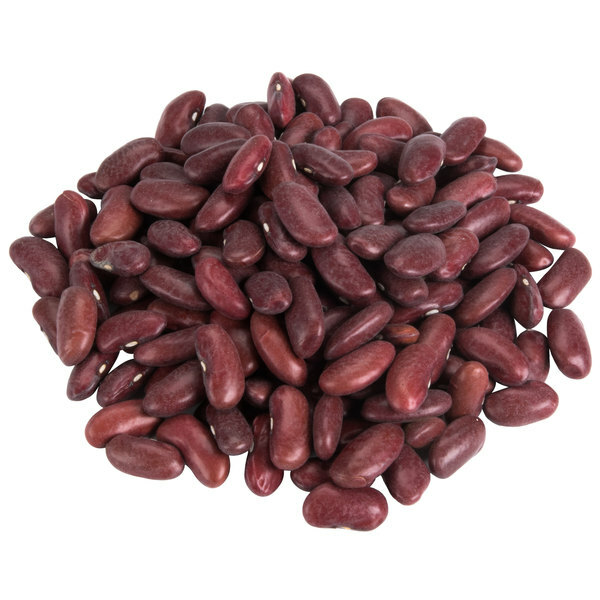 Rich in fiber and potassium, these kidney beans are a great, low-calorie, low-fat option for health-conscious consumers. They're cholesterol free and boxed with no additives or preservatives, ensuring a fresh flavor and homegrown taste. Plus, they're cost-effective and easy to store. 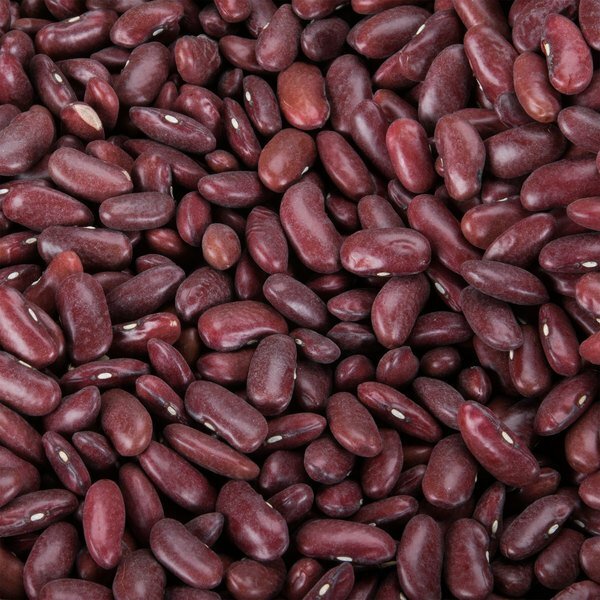 Like all dried beans, these kidney beans require a soaking process before cooking and serving. They may take longer to cook than canned beans, but dried beans have many advantages. Though canned beans may seem either too firm or too mushy, your staff can control the firmness of the beans as they cook them. Use this box of dark red kidney beans to expand your menu selection and create healthier dish options! Overall User Rating: Dried Dark Red Kidney Beans - 20 lb. I use these in soups and in my stews and in my chili comes in handy for large family gatherings and a great staple to keep around. This was a great price for 20 lb of red kidney beans. Just was the amount of beans you wish to cook, add water and place it in a slow cooker and it is done in 6 to 8 hours. Very nutritious. At less than one dollar a pound, these dark red dried kidney beans are a steal. They are hearty and delicious when cooked up or added to chili. A great way to buy kidney beans instead of the bulky and heavy cans. They cook up well and are the perfect addition to chili. This kidney bean has a nice dark colour when cooked. Did not have any issue with particles like stones as the peas was really clean. The price is also good. I would recommend.